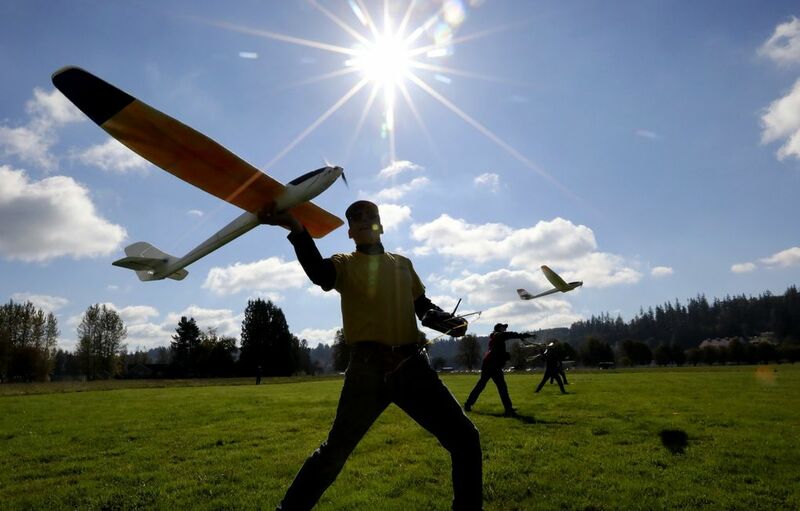 In a Carnation field, members of the Seattle Area Soaring Society have a friendly competition, and share a few favorite jokes. The key to this competition is to find the hawk. 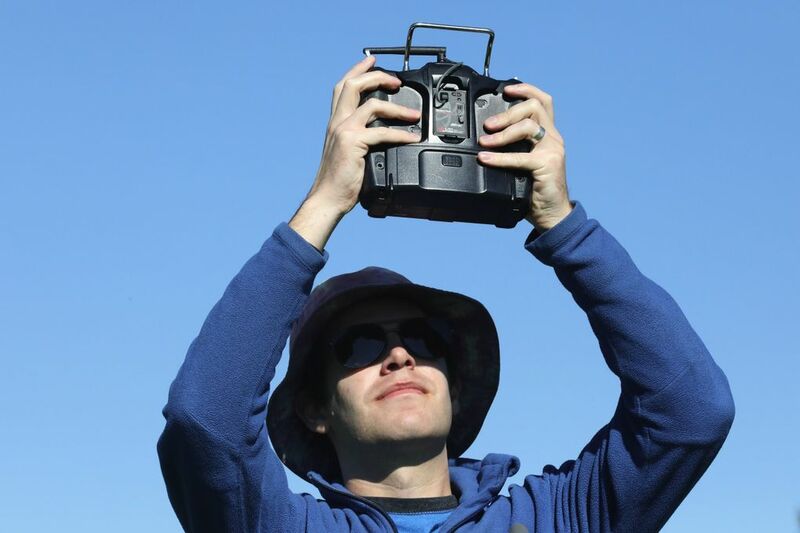 The raptor will tell you where the thermals — the uplifting air currents — are. Then fly toward the hawk’s general direction, but not too close. 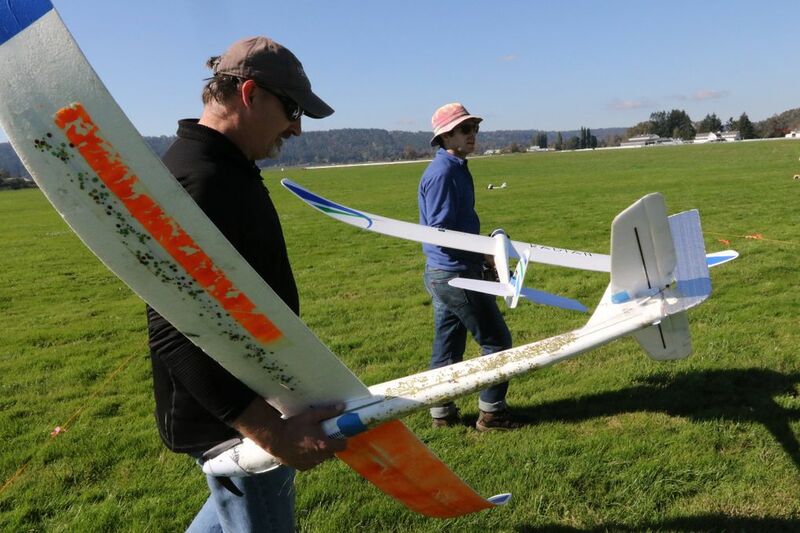 “They’re sports cars, and these planes are lumbering tractor-trailers, big and slow,” says Paul Bower. There is a possible hazard in this approach, he says, “if it attacks your plane because it’s protecting its territory.” That could lead to a crash. 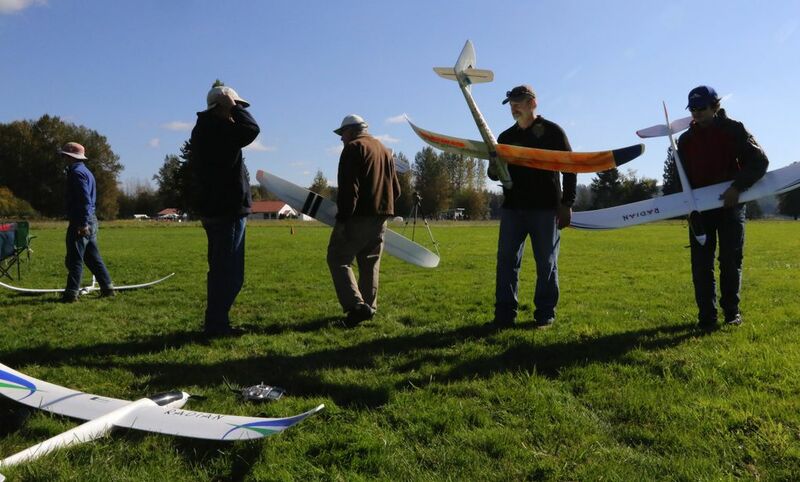 Such are the hazards for these pilots, members of SASS, Seattle Area Soaring Society. Bower is the club’s vice president. Many of the members are engineers. They’re toeing the start line, arms cocked, listening to a recorded countdown. Five minutes to launch, three minutes, one minute, 10-9-8-7-6-5-4-3-2-1. 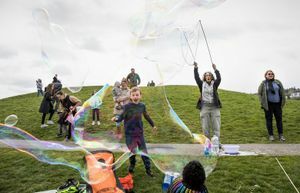 With mighty, overhand heaves, the planes are sent aloft, and powered by radio-controlled electric motors as they climb. At 20 seconds, the command is given to shut down the engines. 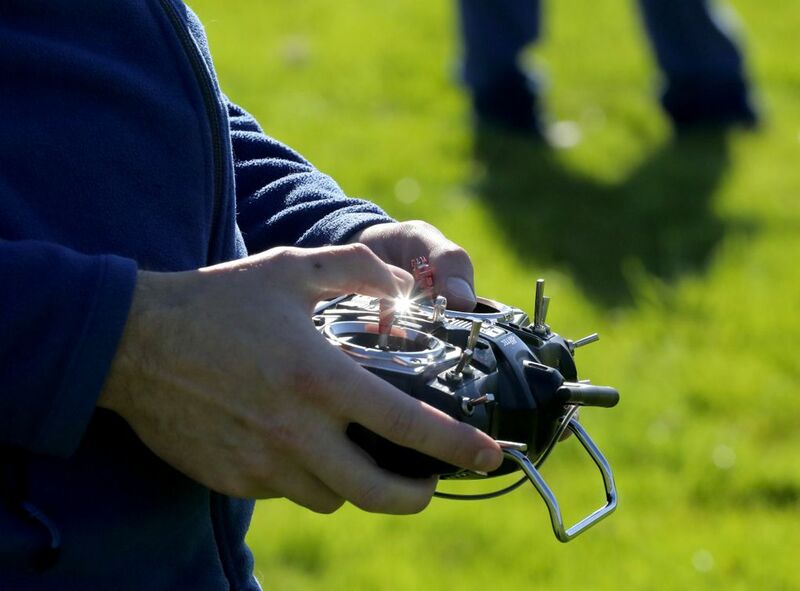 The propellers fold back for less resistance, and now it’s all up to the wind and the skills of the pilots. 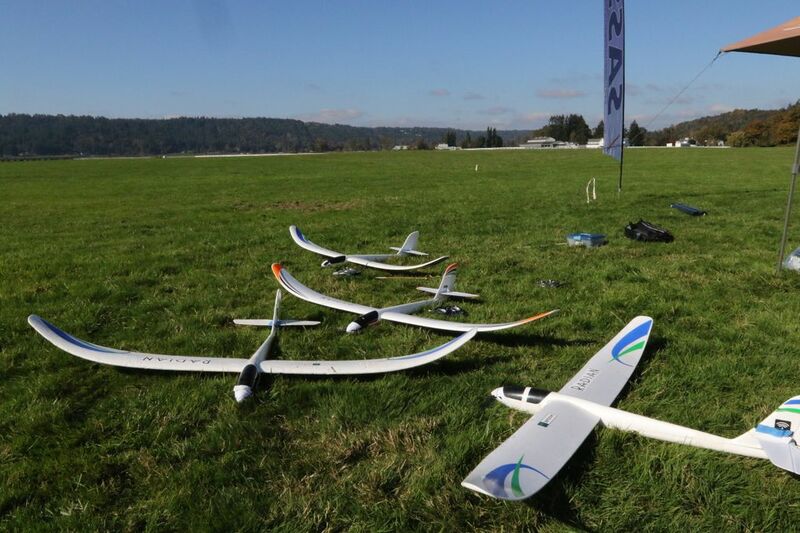 The sailplanes are all identical, made lightweight from foam, with radio controls and 6½-foot wing spans. The competition lasts seven minutes, with the goal of returning as close as possible to the start position just as time expires. 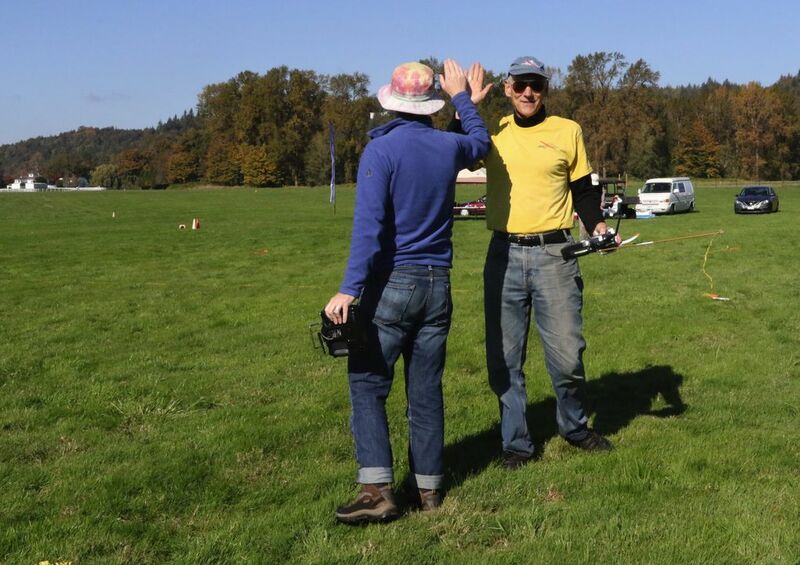 The challenge is to “fly smooth and stay in that buoyant air,” says Bower over the 10 mowed acres in Carnation. They’re vying for small trophies in this friendly competition. Between flights, they break for lunch and then a different competition: the best joke told in less than one minute. These are well-worn, generally family friendly and familiar. “What did the bartender say to the horse? After a couple of low groans, it’s back to another round of flights. 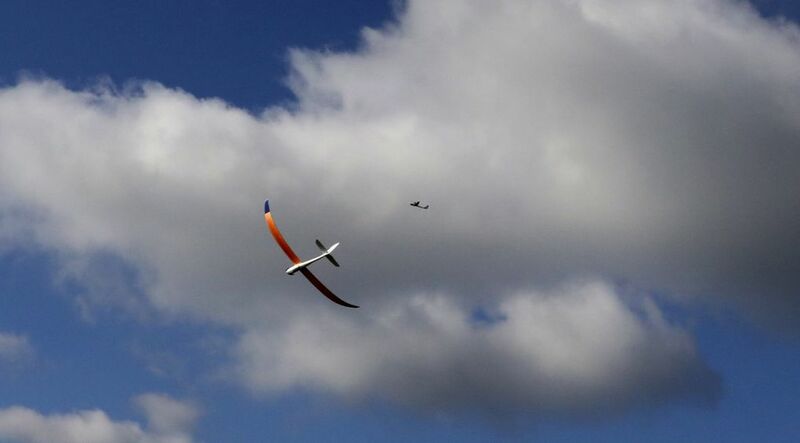 In a competition in Yakima, Bower says, two hawks came up and both challenged his airplane, chasing it. So he banked to try to get behind them. One pecked a piece of the foam out of the side. This day there are no hawks around to point to the buoyant air. So instead, the pilots keep an eye on member Steve Allmaras, who has a knack with smooth flights, clock management and recurring wins.